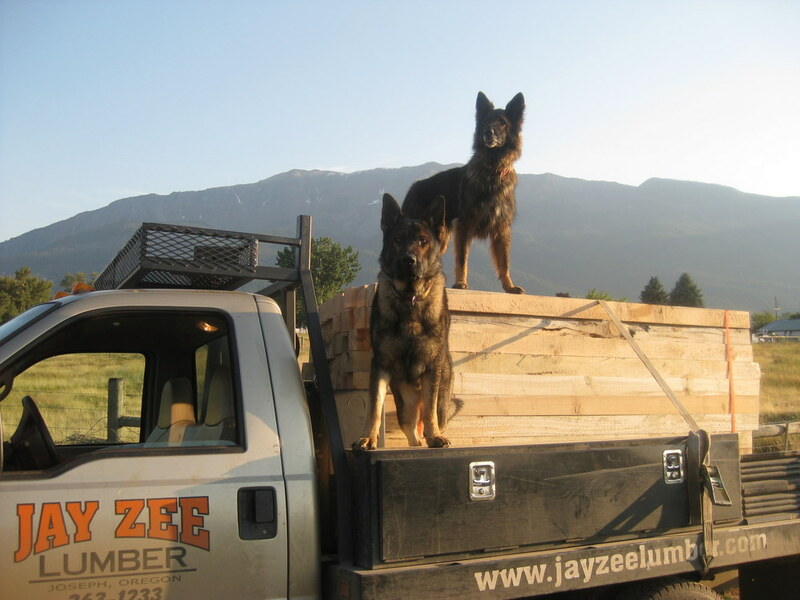 Based in Joseph on the beautiful Wallowa Lake in North Eastern Oregon, JayZee Lumber specializes in custom milling utilizing hand selected logs obtained from sustainable wood sources in the area. In addition, JayZee Lumber offers many other products and services including cabin restoration and chinking services. JayZee Lumber is owned and operated by Jim Zacharias. Jim has a lifetime of experience in the timber industry and he and his employees have a commitment to milling the highest quality products from wood selected in ways that maintain or restore the health of the forests. Jim is a member of the Wallowa County Natural Resource Advisory Committee and is a Wallowa Resources Board Member. No project is too large or too small so please contact us to discuss your requirements and to obtain detailed pricing. Whether it's fencing material, a specialty beam or enough beams for a timberframe home, a new cabin or restoration of an older cabin, an archway or just a few fence boards, we can help.